Some places just transmit positive, vibrant vibes the moment you step in and that's exactly how I felt when I visited Mezze - All Day Cafe & Bar. 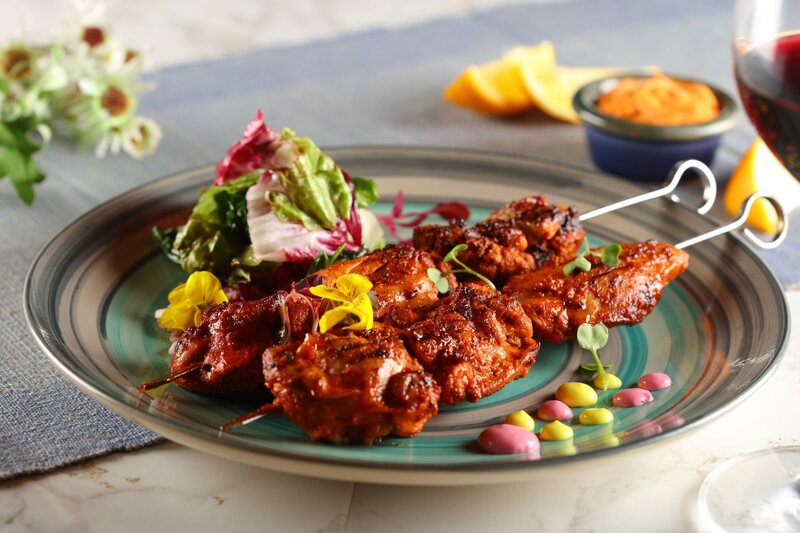 Located in Andheri, Mezze is casual all day diner that’s all about being laid-back and making the most of every day. Staying true to the Middle-Eastern culture it’s so heavily influenced by, this newly opened cafe/bar prides itself for its energy, the decor and of course, the food! This beautifully designed place will not only blow you away with its beauty, but once you settle in, will make you feel at home. Spacious and totally ‘Insta-worthy', the place dons a combination of hues, whereas a multitude of potted plants and creepers complement the colours beautifully too. Apart from the staple Shawarmas, there’s Shish Kaftas, Galouti Kebabs, Gilafi Kebabs, and Dhingri Sultana Mushroom, Manakish that form a part of the appetisers. For mains, there’s an assortment of delicious dishes like Afghani Bhindi, Mashkool Rice, Moussaka Chicken, Mutton Majboos, Stuffed Kose, and of course, our beloved dish, Haleem! My personal favourite from the menu was the Shish Kaftas and the Mezze Platter. 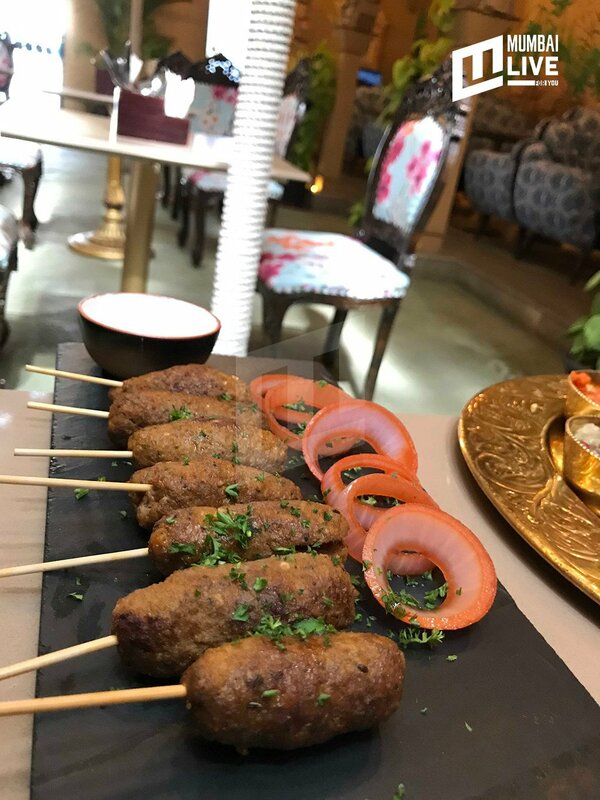 Shish Kaftas is basically minced lamb skewer with authentic Middle Eastern spices which the minced lamb is marinated in. Served with a dip, the appetiser has a very balanced taste, flavour and will be liked by people who relish their food to be mildly spiced. 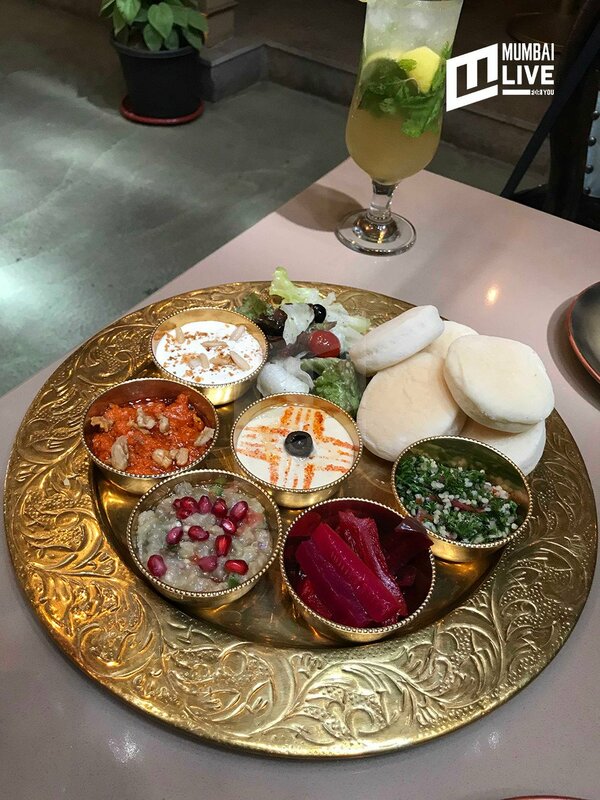 Coming to the Mezze Platter, if you want to try out one particular dish to understand what Middle Eastern cuisine is all about, this is the dish. Served with pita bread, the platter has assorted dips with the likes of Hummus, Baba ganoush, Muhammara, Tabbouleh. Each dip has a distinct flavour and with soft bread, this platter will be worth the experience. Mezze’s Bar Menu has been intricately crafted to offer you some unique drinks. The Moroccan Shot and The Shot of Lebanon are the two shooters you must try! 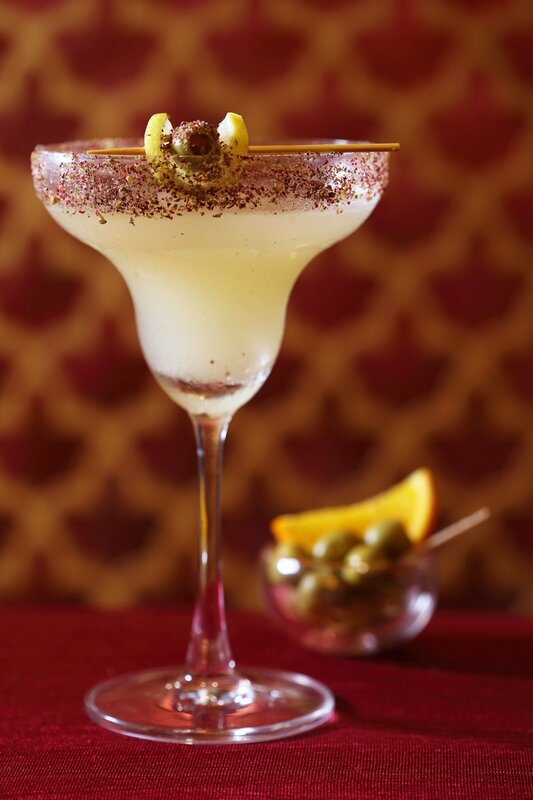 When it comes to cocktails, you can enjoy a variety of classics with a Middle Eastern twist. There’s the Zaatar & Sumac Mary , Whisky Date Sour , Moroccan Mojito , and the Mezze Sangria, which can be prepared and served sour or sweet –– depending on how you like it! For the teetotallers, there’s the Sober Moroccan Mojito, Moroccan Iced Tea, and Mezze Fruit Punch –– and each one is more refreshingly delicious than the next. The Middle East is renowned for its sweet treats, and for desserts, one can dig into a scrumptious serving of Kunafa, Mahalabia, and a Baklava Brownie too! On a personal level, I liked the Baklava Brownie and the Kunafa. 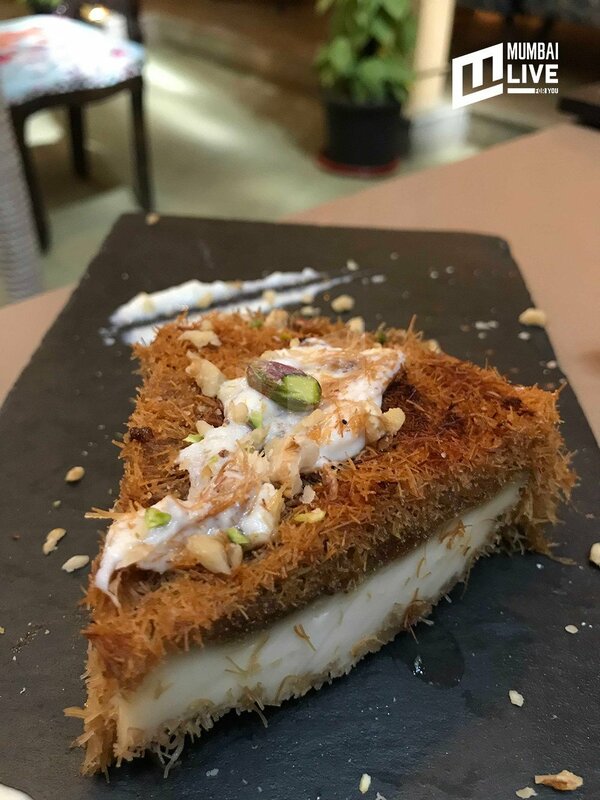 With fine texture and multiple layers of joy, the Kunafa is an arab dessert made with thin noodle-like pastry, or alternatively fine semolina dough, soaked in sweet, sugar-based syrup and layered with ingredients such as clotted cream or nuts. Mezze is a direct result of our love for the Middle Eastern food and its culture. We’ve ensured that we maintain authenticity across all levels so that you can experience the fantastic combination of a beautiful ambience, terrific hospitality, and of course, flavoursome Middle-Eastern fare! 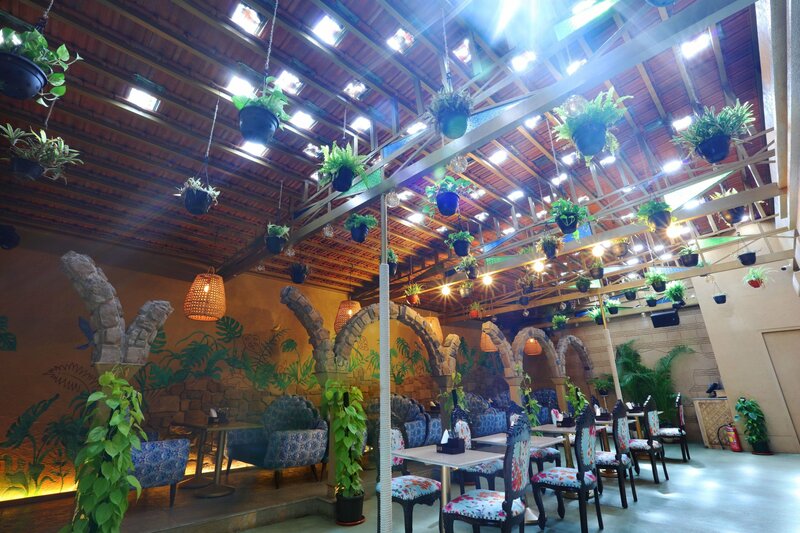 If you stay in Andheri and are keen to explore a new restaurant, Mezze is definitely a must-visit as it's refreshing to just walk into this place. The ambience is simply fabulous with vibrant colours and authentic Middle Eastern design and the food is very close to being authentic to the real deal.